I first tried the budget S-Ride 12 speed MTB groupset on the Polygon Cozmic CX3.0, and it was quite an eye-opening experience. 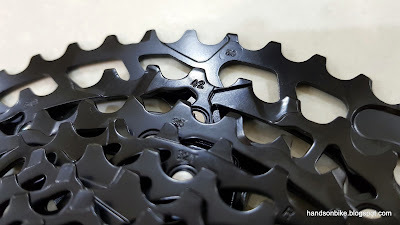 The wider gear range offered by the 11-50T cassette meant that I could pedal up steep slopes and still ride relatively fast on the roads, on the way to the trails. Usually, for 27.5" or 29" wheels, a 30T or 32T front chain ring is used, and that is usually the optimum gear range for most riders. 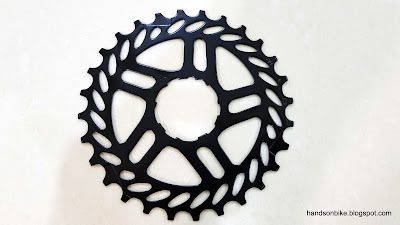 However, as my MTB is an older 26" version, I compensated for the smaller wheels by using a larger 34T front chainring. 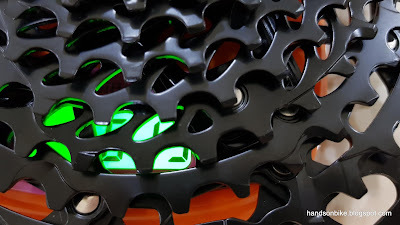 This gives a gear range that is similar to that of larger wheels with smaller chainring. 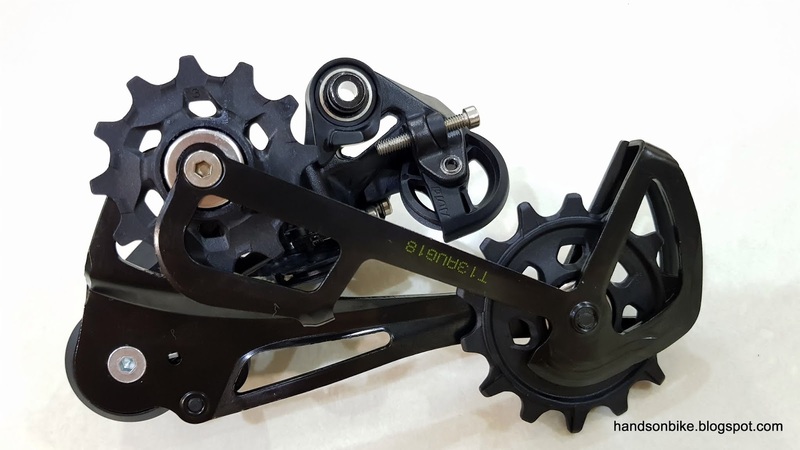 The S-Ride 12 speed groupset (without crankset) is of quite decent quality, and priced at a nice entry level pricing, for those who are looking for a cheap and affordable upgrade for their older MTB. 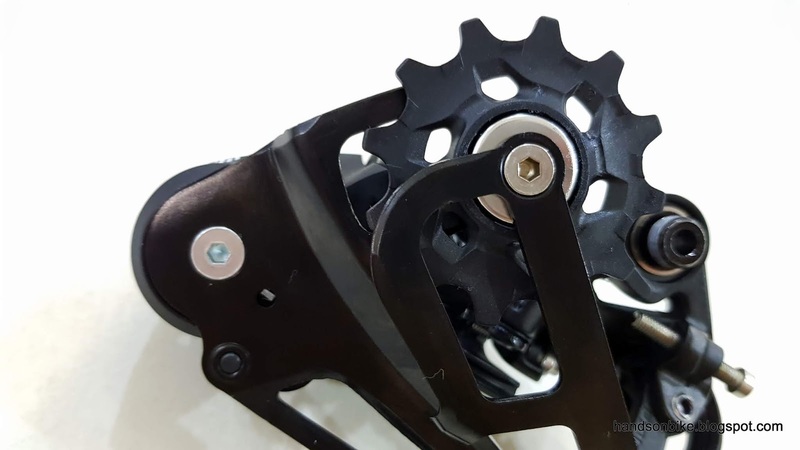 Most older MTB groupsets are probably 3x9 speed or 3x10 speed, and by changing to a modern 1x12 speed, it simplifies the drivetrain and also breathes new life into an otherwise outdated bike setup. 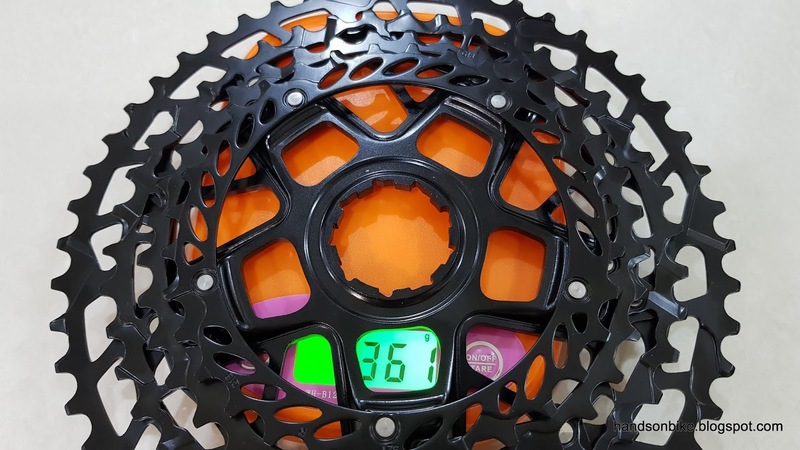 By introducing the affordable 1x12 speed drivetrain to the market early, it had the first-to-market advantage, as no one else had the same product on offer. 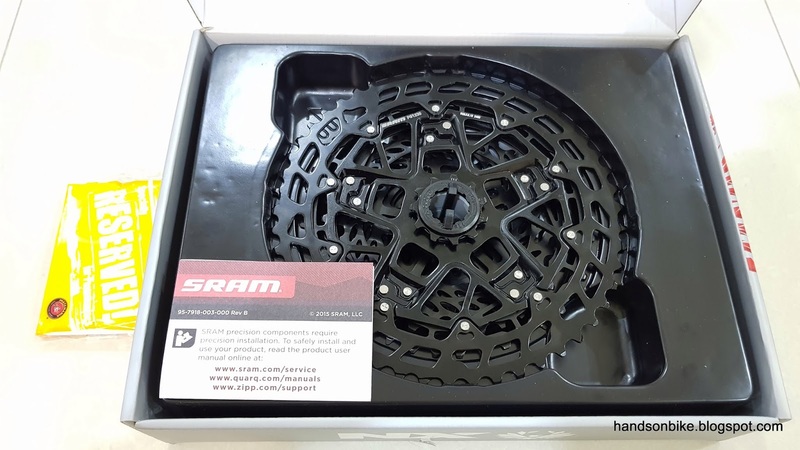 Higher end SRAM XX1/X01/GX Eagle 1x12 speed groupsets require a special XD Driver on the freehub, which is not available on older bikes. 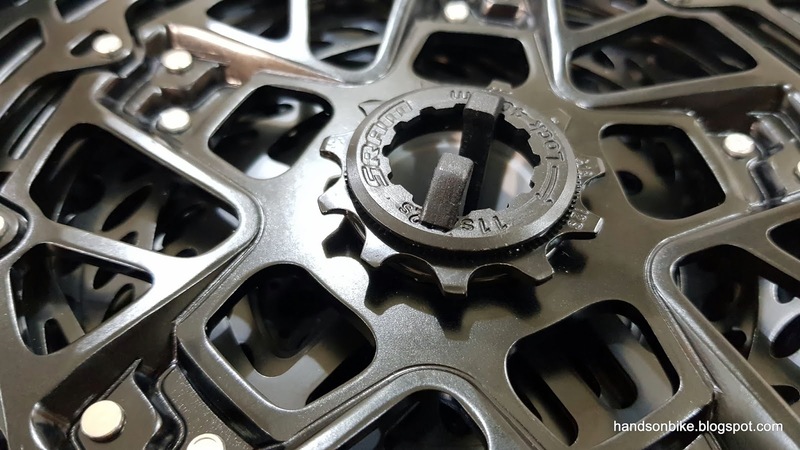 The XD Driver is necessary to accommodate the small 10T sprocket. 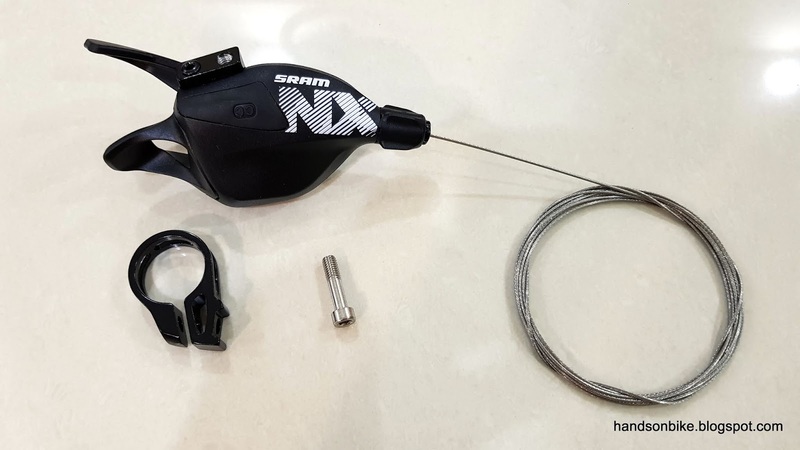 Now, with the SRAM NX Eagle groupset, the S-Ride groupset has lost the advantage, as the SRAM NX Eagle 1x12 speed groupset has exactly the same main feature, which is the 11-50T cassette. 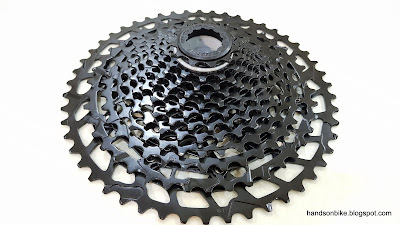 As previously discussed, the 11-50T cassette has the key advantage in that it can be retrofitted onto the standard 9 spline freehub body, which is found on almost all older 8/9/10 speed MTB. Although it does not have the small 10T sprocket for a higher gear ratio, that is not so important for this class of rider, who probably does not need that high a gear ratio anyway. 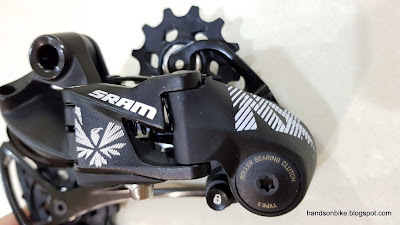 For a start, this SRAM NX Eagle 1x12 speed groupset is very similar to the S-Ride 1x12 speed groupset, and is definitely a direct competitor. Although the SRAM NX Eagle is later to the market, and is also higher priced (about 1/3 more than S-Ride), it is from a more established brand which users might prefer. 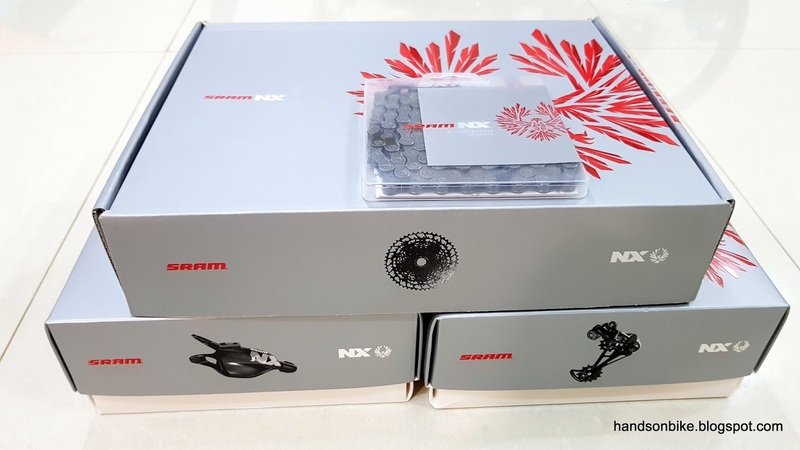 Without further delay, let's take a look at this newly launched SRAM NX Eagle 1x12 speed groupset. A comparison with the S-Ride 1x12 speed groupset will be done in a separate post. SRAM NX Eagle 1x12 speed upgrade kit, which means it does not come with the crankset. 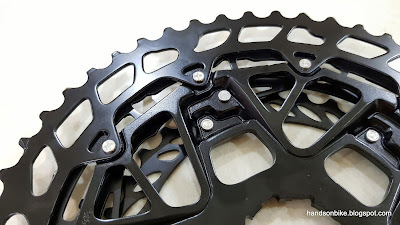 A narrower 12 speed chain is needed to fit between the sprockets. Weight is not accurate as it includes the plastic box. 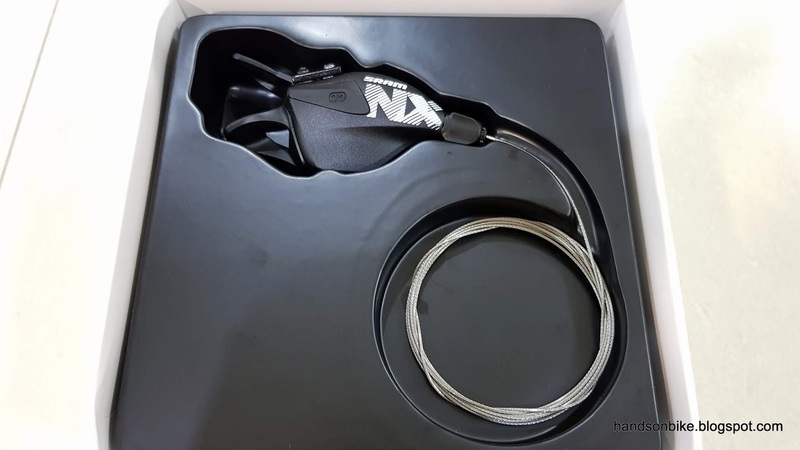 Probably around 280 grams or so without the box? 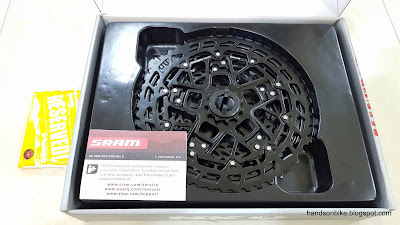 Gigantic box which houses the huge 11-50T cassette! I am always surprised at the size of the box that contains the cassette. 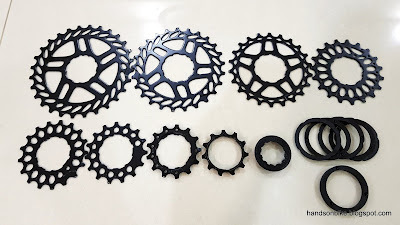 All 12 sprockets shown here! On its own, it does not look big, but note that the 3rd biggest sprocket is already a 36T! Remove the 2 largest sprockets and you will get a 10 speed 11-36T cassette. In case you are interested in the model number, it is PG1230. At first I thought the spider is made of stamped steel, but later realized that it is actually aluminium. 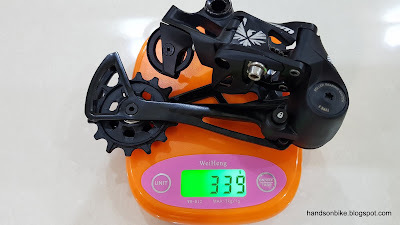 Weighs 361 grams for these last few sprockets which are riveted together on the spider. 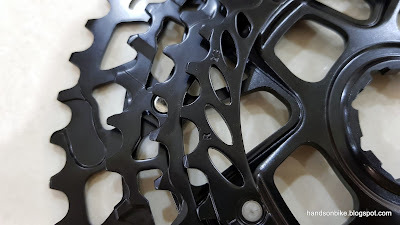 All the other 8 sprockets and spacers laid out! 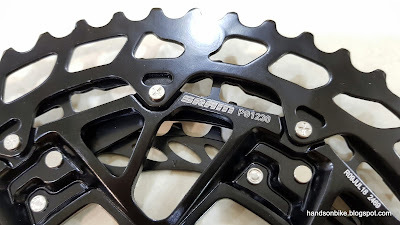 What I really like is the design of the cutouts on the sprockets, which are strikingly different from Shimano sprockets. Upon closer look, see how the 5 spoke design plus angled slots combine to create an edgy appearance. The spline design of the spider is also quite unique. Although it follows the 9 spline design, the shape seems to have special "escapes" at the radius areas. 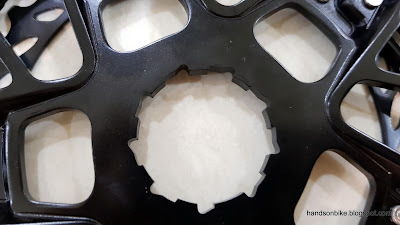 Is it to save weight or to minimize the machining process? The special spline profile can also be seen on the individual sprockets. 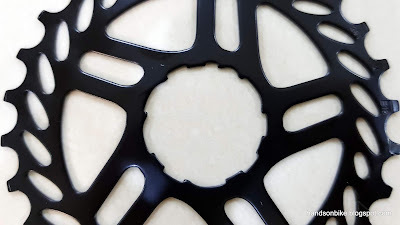 However, in this case it seems to be just to save a bit of weight, by removing material at the non-driving area. 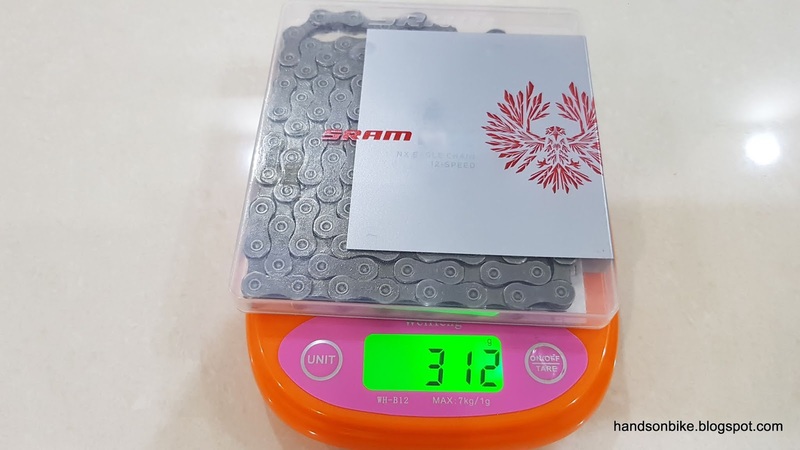 The 11-50T SRAM NX Eagle cassette weighs 613 grams, which is heavy. 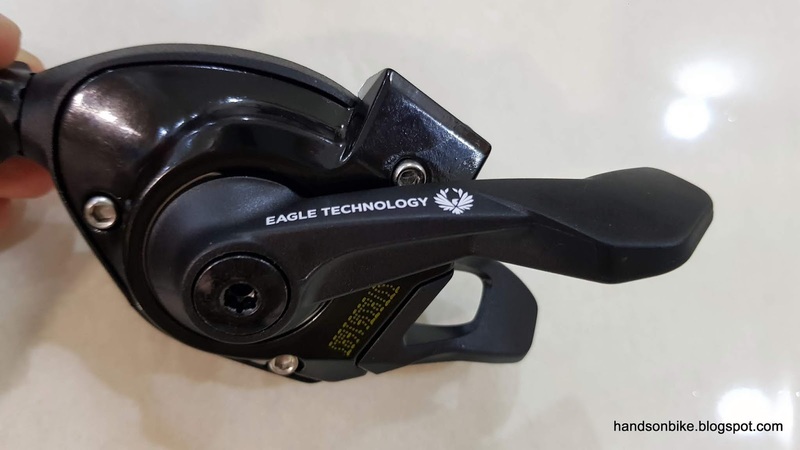 SRAM NX Eagle 12 speed rear derailleur. The empty cutout at the side is actually for a tool to set up the distance between the guide pulley and the sprocket, but it is only provided for higher grade rear derailleur. Some hollow design to save weight, while still maintaining strength and giving a lightweight appearance. 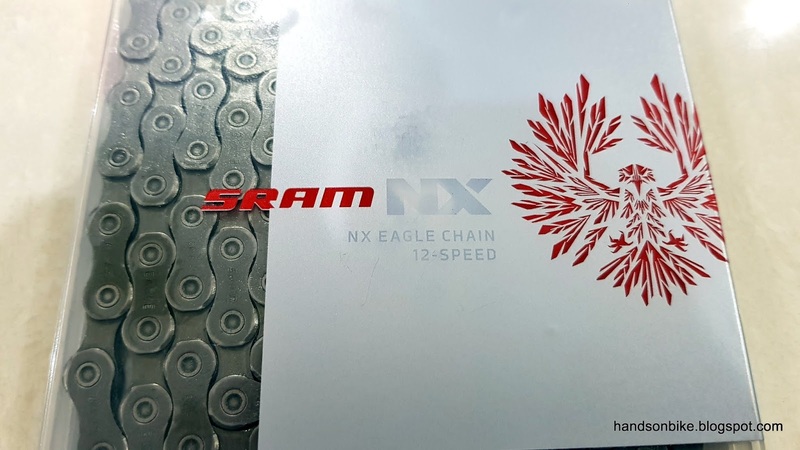 Eagle logo spotted on the outer link, along with the NX logo on the side. Type 3 Roller Bearing Clutch design, which is non adjustable. 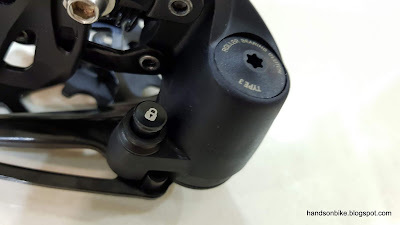 The Cage Lock button is also there to keep the cage extended for easy removal of the rear wheel. Cable pulley for the shifter inner cable to make a U-turn, to reach the cable fixing bolt. B-tension screw at the top, Top and Low limit screws at the bottom. View of the cage set. 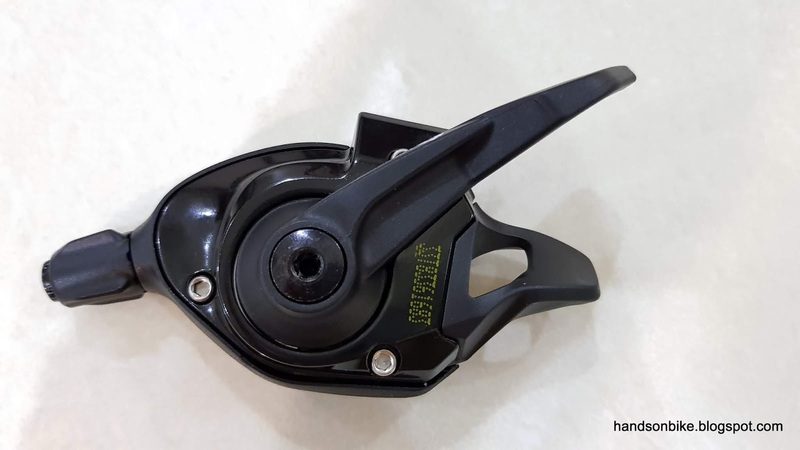 Large 12T guide pulley and 14T tension pulley. 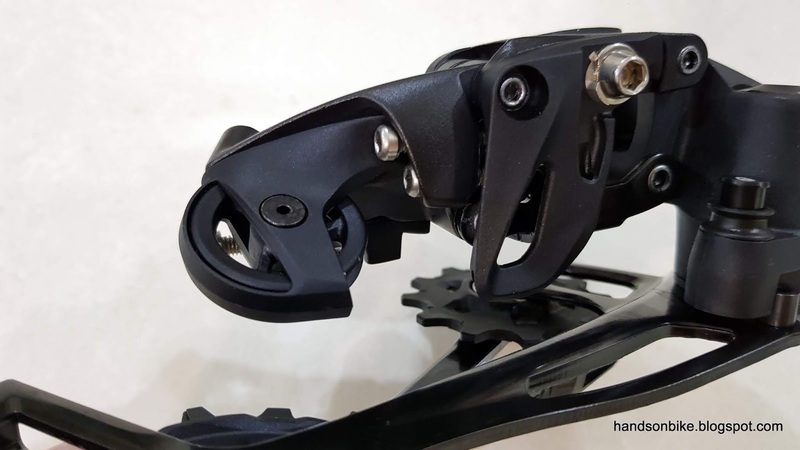 Big offset between the pivot of the cage set and the guide pulley. This allows the pulley to move downwards when shifting inwards on the cassette, allowing it to clear the large sprockets. 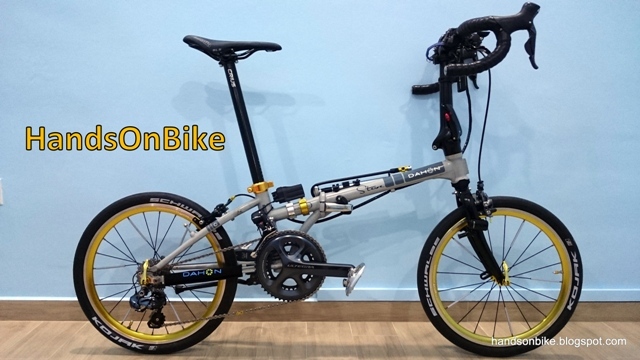 This design is possible only because it is exclusively for a front single drivetrain. SRAM NX Eagle 12 speed rear derailleur weighs 339 grams, which is heavier than a Deore M6000 rear derailleur. The clamp band and clamp bolt is included in the box, but is not the fixed type. To remove the inner cable, just pull back the rubber flap. To insert a new inner cable, just put it through the hole on the orange part. 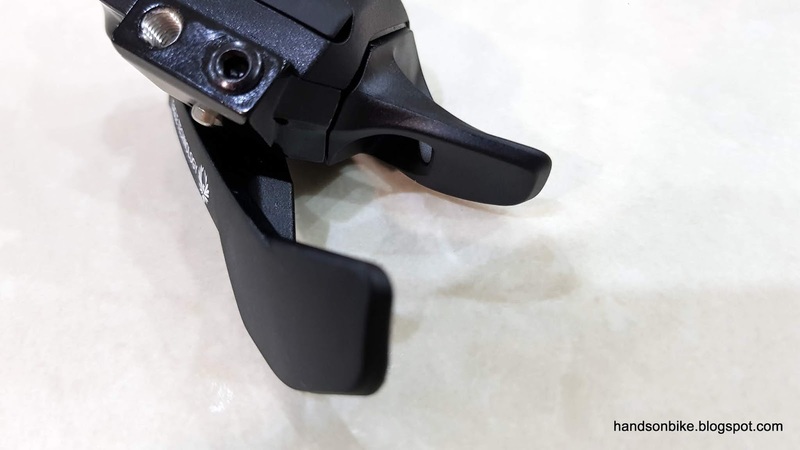 If you have a SRAM brake lever, you can attach the shifter directly to the brake lever without using the clamp band. 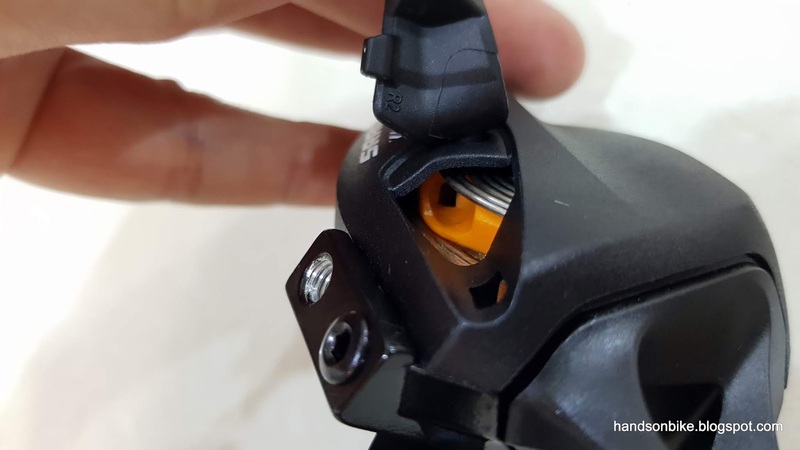 By attaching the bolt to either one of this holes, you can position the shifter further or closer away from the brake lever. To release a gear, you have to push the release lever located behind with your thumb. 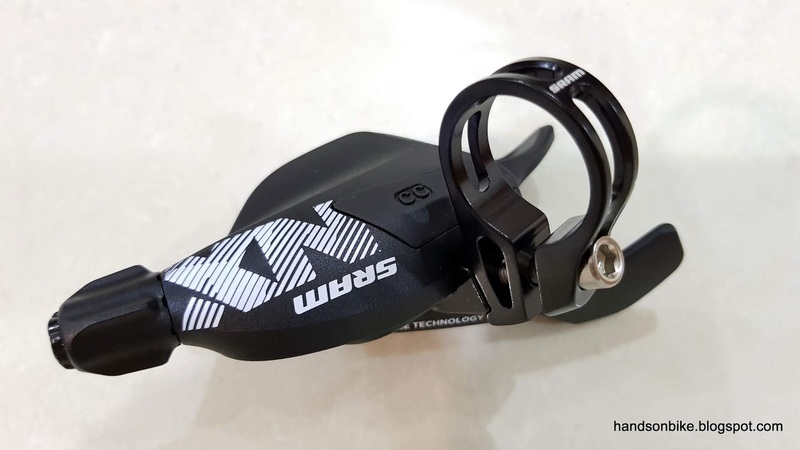 No way to activate with the index finger like on Shimano shifters. Resin main lever for shifting. 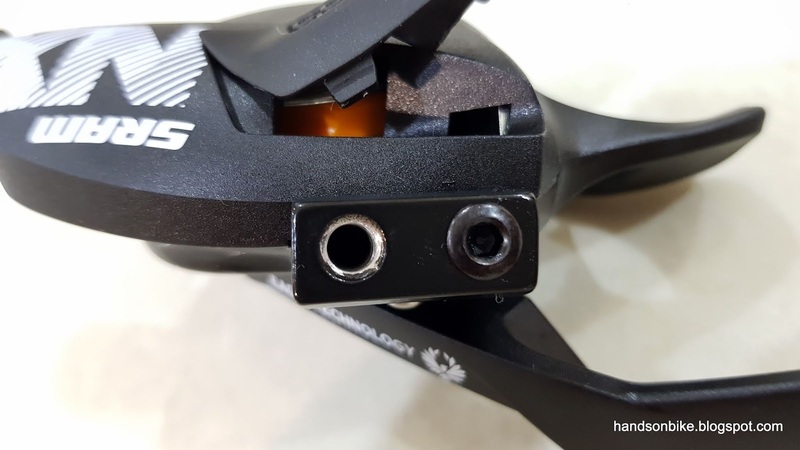 No aluminium lever or angle adjustment like on higher grade models. Bottom cover of the shifter is made of aluminium. 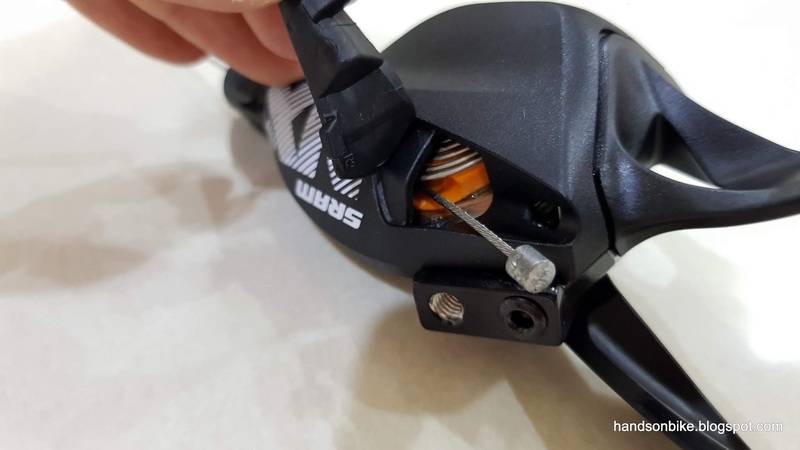 It is actually the base where the other parts are assembled to. 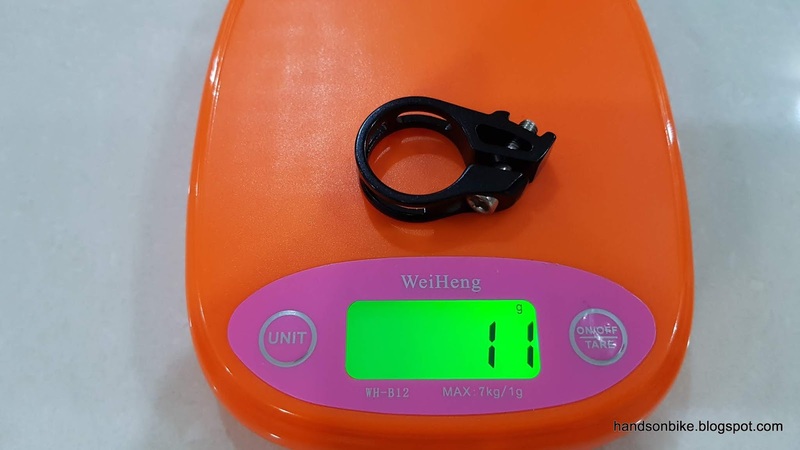 How it looks with the clamp band attached. 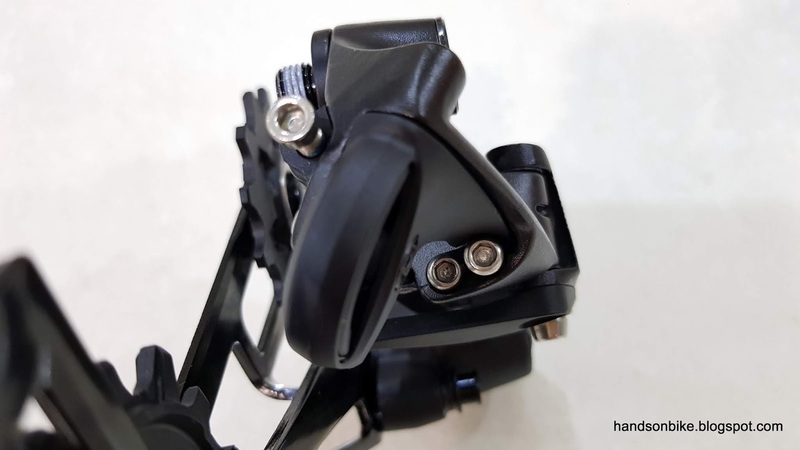 Other than fixing the clamp band to the handlebar, the clamp bolt is also the one that attaches the clamp band to the shifter. 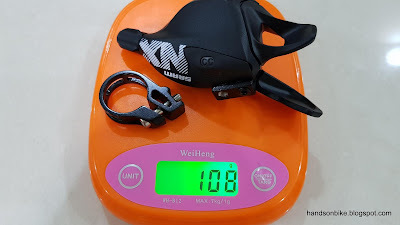 Weight of SRAM NX Eagle 12 speed shifter, including clamp band and clamp bolt is 108 grams. Quite lightweight. Clamp band and clamp bolt weighs 11 grams. 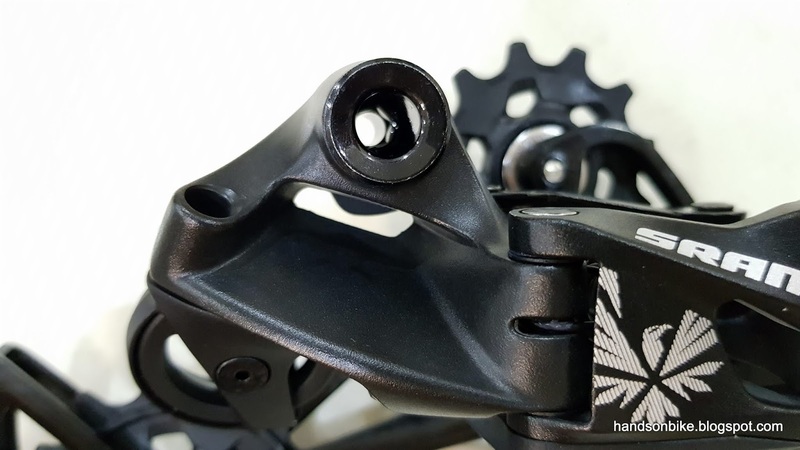 We can see that for a front single drivetrain, there are not so many components that need to be assembled. 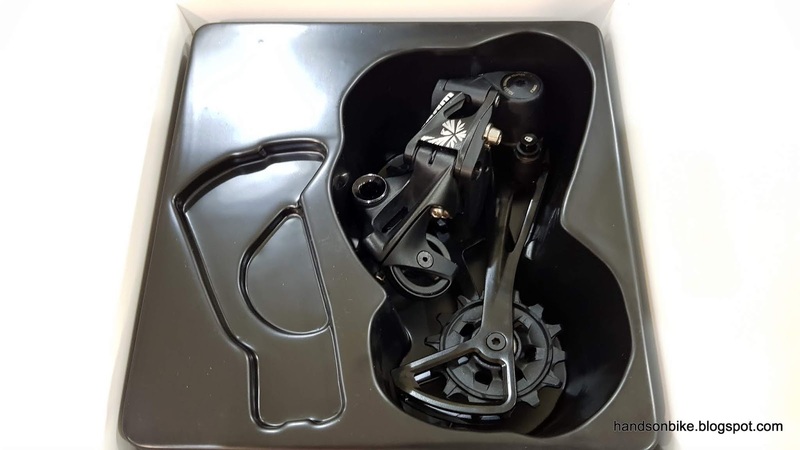 Just the cassette, chain, rear derailleur, shifter and of course the front chain ring. These will make up the drivetrain of the bike. 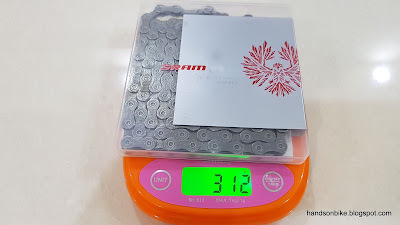 Being the 4th tier of SRAM Eagle components, it has to be of a lower price, which means that the materials used for the components are less premium and heavier. 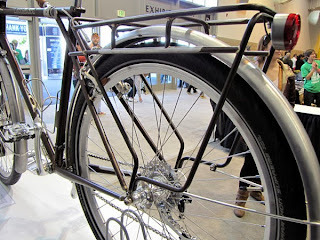 More resin and steel, instead of aluminium or carbon fibre. The chain is quite standard in weight, while the shifter is actually quite lightweight as it uses a resin main lever instead of aluminium which can be heavier. However, the cassette (613 grams) and rear derailleur (339 grams) are heavy, and not competitive in terms of weight. 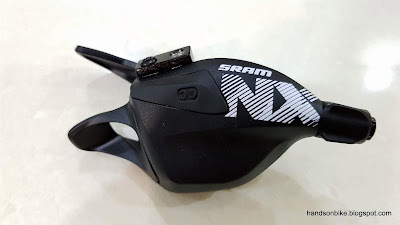 In another post, I will compare this SRAM NX Eagle groupset with the S-Ride 12 speed groupset, which is very similar in terms of specifications and function.